Since I have started this blog, Excel timesheet calculator template has been one of the most requested templates. I often get queries on how to calculate regular hours and overtime hours of employees based on the ‘In time’ and ‘Out time’. I also couldn’t find a good Excel timesheet template online, so I decided to make one. This is a dynamic timesheet template in Excel where you can change the start date and the weekends. You can also specify hourly rates (regular/overtime). There is a weekly, bi-weekly, and monthly timesheet template in the download file (each in a separate worksheet tab). Also, when you print this timesheet template, it will fit perfectly on a single page. As soon as you enter the ‘In time’ and the ‘Out time’, the template automatically calculates the regular and overtime hours. If there are any breaks (such as lunch break) that are not paid, you can also enter that. Based on it, it also calculates the total pay (considering there are hourly rates). 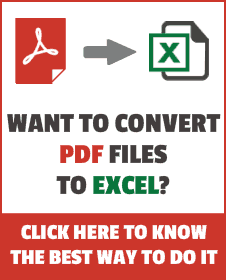 This Excel template is available in three formats – Weekly Timesheet, Bi-weekly Timesheet, and Monthly Timesheet (provided as different tabs in the download file). Select the Week Start Date. Specify the weekend. You can select from various options in the drop-down. The options include – No Weekend, 1-day weekend (Mon, Tue…) or 2-days Weekend (Fri & Sat, Sat & Sun..). As soon as you select the weekend, those days get shaded in red in the timesheet. Specify the Start Time, # of Regular Hours, and Hourly Rate (Regular and Overtime). The start time should be in the hh:mm format (24-hour format). For example, 6 AM would be 06:00 and 6 PM would be 18:00. If all the Weekend hours are to be treated as overtime, select the checkbox. If unchecked, weekend hours would also be split into regular and overtime hours. Enter the In and Out time for a date, and break hours (if any). This Excel time sheet has formulas that will automatically calculate the total number of Regular hours and Overtime (OT) hours. Note that break hours are deducted automatically from regular hours. There is an inbuilt check to make sure ‘In time’ is not later than the ‘Out time’. The template would not let the user enter the time in such a case. [This has been made possible using the data validation rules]. If the work shift of an employee or team member spans to the next day (for example, starts at 6 PM and ends at 6 AM the other day), then make sure Day 1 time is 18:00 to 24:00 and Day 2 time is 0:00 to 6:00. Do not change any formulas in the timesheet. Only make the entries in ‘In time’ and ‘Out time’ columns. While deleting entries, delete it only from the ‘In time’, ‘Out Time’ and ‘Break Hours’ columns. I have changed the page margins to make it fit on a single sheet when printed. Excel Formulas: A number of Excel functions such as DATE, MATCH, INT, IF and IFERROR are used to calculate the values (such as the date from selection or regular/overtime hours) in this timesheet template. Excel Drop Down List: It is used to allow the user to select the month name. Check Box -it is used to allow the user to specify if the weekends are to be charged at the overtime rate or not. Named Ranges/: These are used to refer to the data in the back end (in the data tab). Conditional Formatting. : It is used to highlight the rows when a given date is a weekend. If there is an Excel template you wish existed, let me know in the comments section. Since I get a lot of queries about using this timesheet template, I thought of creating this FAQ section to answer some of your queries. If you’ve a question, you can ask me in the comment section, but I would request you to go through this section first. Q: I only see the Weekly timesheet template. Where are the bimonthly and monthly templates? Ans: All three timesheet templates I provided as separate tabs. You will find the other templates when you click on the tab for the template (tabs have been named accordingly). Q: What if I want to track the timing of multiple employees using this timesheet template. How do I do it? Ans: this template is made for one person per sheet. If you need to track multiple employees or team members, you need to create multiple sheets in that case. Q: Can I have multiple sheets being recorded in the same template? Ans: This template is made for one time-shift only - which you can specify by mentioning the start time and the number of regular hours. Q: Can I print this timesheet template? Ans: Yes, these timesheet templates have been made to fit a single page when printed. You can go to File and then clic on Print, or use the keyboard shortcut Control + P. This will open the Print preview page. Q: In monthly timesheet template, when I select February 1 as the start date, why does it still show me dates from the next month? Ans: The monthly timesheet is made to cover 31 days in total. So it will show you 31 days, starting from the date that you have specified. Calendar Integrated with a To Do List. Excel To Do List (4 Templates). Holiday Calendar Template (US Only). Project Management – Employee Leave Tracker. Vacation Itinerary and Packing List Template. If you are looking for an online timesheet calculator, check this. Hi! Thanks for the template. Our regular start time is 10:00 AM, but some employees time in is earlier. Like 9:30 AM sometimes 8:00 AM and their time out is exactly when they reached the 11 regular hrs. But there is still appearing OT hours even they only work for 11hrs. Thanks in advance. I know there is a probability that many of the questions that I answered are old and that they will never reach the original baffled poster of each question… can’t tell because there are no dates, neither the article’s publishing date nor the comments’ posting dates. However, in looking for answers myself on sites around the net, I have found many solutions that were posted several years prior to me finding it. I assume that someone will probably come around in the future asking themselves the same questions, and I hope they read before they ask. Hi, and Thanks for your site as a whole, for it has provided several answers through time. This time sheet is quite interesting, even if I had to tweak it to fit my needs. However, and as several people have pointed out in different ways, this time sheet is not good for the U.S., because for the most part, states regulate that OT starts on the 41st worked hour in a week. Those states in which OT starts after 8 hours worked in one day, working from 8 to 5 yields 8 hrs reg pay + 0 OT hrs. Usually, in the states where OT starts after 40 hrs, trusting that one will work those 8 hrs a day for the full five days, for time-keeping purposes 8+OT is used on a daily basis for ease of calculating the week’s pay. Now, the 7th day worked is payed entirely at 1.5x the hourly rate, but OT on that 7th day is payed at 2x… again, some states do, some don’t. Generally speaking, the unpaid break hours are taken from the OT hrs instead of the 8-hr base for the day. Some states also allot for working at night and/or on holidays, to make things a bit more complex. All the OT and DT (double time) checking and calculations should take place in the existing OT column. P.S. – Btw, the three time sheets read Weekly up top. There is only one shift in and out, could you please add 2 shift in and out. These rates change throughout the day. Is it possible to apply this to the sheet? It is very helpful but I have 1 problem. my company counts OT HRS only after completion of regular HRS ex. regular hrs are 8 and after 8 hrs OT starts. It cannot be like 7 regular hrs and 1 OT hrs. can you please tell how to do it. A lot of thanks. The formulae for Regular and OT pay have to be modified. The Reg pay formula must calculate that if OUT – IN <= 9, the unpaid break gets deducted, otherwise Reg hrs will 8, and the break gets deducted from the OT hours. If OUT – IN 9, in this example, or 8.5 hrs if only a half-hour break is given. half an hour = 0.5, 45 mins = 0.75, 1 hr 15 min = 1.25, and so on. That is the logic behind it, but now you would need to follow and understand those two formlulae used in the worksheet so you can modify them to do as above. I’m sorry that I am not posting a ready-made solution for you, but I not only modified the formulae quite a bit, but also part of the layout of the timesheet, so mine would not be suitable. Hi. I want the monthly time sheet to pay overtime only after 195 hours for the month including sunday work. I want to also have to pay a certain overtime for sundays. And also pay certain days as public holidays as overtime. file is corrupted i cant open it. You are a life saviour! Question, my staff start time changes everyday, if I set 9am, anytime go later than 9am would consider as OT. But it shouldn’t as their working hour is 9 hours with 1 break, more than 9 hours would then consider as OT. How should I resolve this? You are “GREAT” and I Salute you. Your tutoring made me a huge difference than previous and now I feel really confident in all of my Excel works. I’m much better than previous because of you and I feel like I can conquer anything! Again, Thank you sir and if I have money than I could attain all the training courses provided by YOU. I wish you endless success and happiness in the coming year 2019! Take care of yourself and your family members and best of luck! Your training online is helping me understand a lot how to use excel. The eBook I received will give me great knowledge to use. I wish you safe travel to Mumbai and we meet again in 2019. How do I add months to the monthly timesheet and keep the same formulas? In Texas, overtime isnt calculated until 40 hours of strait time has been reached….it is not calculated after 8 hours a day…how can i fix this? One way to do it without a major overhaul is to let it calculate the alleged weekly OT. Then, at the end of the week, down where it sums the columns up, you could add to the formula the verification that if the total Reg Hrs is greater than 40, then Reg Hrs – 40 is the OT. The only time it will not be true is if the employee does not work a full 8-hr day one or more days in the week. Then it will not look right, though the totals will be right, and so will the pay. I love this time card template. hours. However I need this same template to include split shifts. Example: 7 am – 10 am; 11 am – 2 pm; 4 pm – 7 pm. Is this possible? Please advise. Thank you for your time and assistance. If that is always the case, you could do IN at 07:00 and OUT at 19:00 with a 3-hr break. The template also does not work with times through multiple days, i.e. someone working from 11pm to 7am during the week. Yes, you are right, it does not work for that situation. 23:00 to 24:00 on one day and 00:00 to 07:00 on the next day, but at the end of that 2nd day you would need to enter 23:00 to 24:00 again, and the problem is that here you cannot use two lines or rows for that same date. This is where a daily two-shift time sheet would work. This is very useful if you are using fixed days. I have a customer using a weekend period starting at friday 7pm and ending at monday 7am, which has a higher payout. I am trying myself to program such a calculation, haven’t been able to solve it yet. Any help on this would be appreciated. Remove all references to the cells in that column in the formulae. I Really like this spreadsheet, one of the best around! I live in Australia, so our days are ahead of the US by one. How to change the formula string to suit OZ? Am learning about excel formulas but can’t see how to do this change. Damian, I imagine that by now you have found an answer to your dilemma. However, in order to avoid anyone else getting confused, I will answer your question. Your days are ahead of the US by one only until it becomes after midnight in the US. In other words, on, say, Fri June 30th, Australia will reach midnight and becomes Sat July 1st, some 15 hours before the US East coast does, so in NYC it is still Fri Jun 30th at 09:00 a.m.
15 hours later, while it is 3:00 p.m. in Australia, NYC, at the strike of midnight, is coming around to Sat July 1st also, and both would be on that date until Australia hits midnight again. It is impossible for a date to fall on two different days of the week on any two parts of the world at the same time. Currently, if you look at the weekend, whether or not you tick “weekends paid at OT rate”, the time is broken down in to Regular Hrs & OT Hours. Is there a way we can list all hours worked on the weekend as OT Hours? Not for the sake of calculating, the pay, but to figure out how much OT employees are working? I thought this was good until I could not get the drop down box to work in the Monthly Time sheet only the Date one goes to drop down list from the data sheet. How do I put enter 1/2 hour for lunch? How did you get the total pay? How can I change the rate on sunday? However, if you list all the employee names in a column in the DATA sheet, then you can use Data Validation on the Employee Name on the Timesheet so you don’t have to type it on the employee’s timesheet. I don’t understand the function of the start time when they have a clock in and out time. The function of the Start time, as I see it, is that it helps determine if someone has done a No-No and entered an IN time from one day and an OUT time from the following day, as over-night shifts usually go, and that is because the over-night shifts cannot be recorded on these timesheets. thank you for sharing this useful sheet. but how can i introduce the (latency in) as COLUMN if a worker come late to work and i want to punish him by deducting one hour ? then kese me is main entry karoun ?????? This seems to be a pretty good template, and starting point. I am probably going to Modify it to have it split out into multiple projects. I am a Drafter so each project i work on has to be billed to, I can go from a single project in a week to twenty projects in a week that has to be billed to. So that is a project for myself, but if you were looking at a possible add to this template that would be useful to those that are in the same situation as I am. ok, i give up. How do I change the company name at the top of the spreadsheet template, it just says [Company Name] and I can not figure out how to edit this. Hi Samit, My team regularly work 12+ hr days (06:00-16:00 Normal time…$25/hr…with 30min break, then the next 3hrs would be paid at 1.5 x normal rate…25 x 1.5 = $37.5…and any time after is paid a 2 x normal…25 x 2 = $50). Is there a way to have two different OT rates and therefore two different OT columns? In answer to your question, yes, it can be done. I’m sorry I cannot provide you with the formulae needed, but you basically have the logic already worked out. let’s say 06:00-20:00, or 14 hrs from IN to OUT. Hi, how do I populate 5 people filling different timesheets? I am interested in the total working hours. Could you tell me how to allow this please? If you enter 0.75 in a cell and Excel shows you 0.8 that is only due to formatting… but it will use 0.75 to calculate, as can be seen on the formula bar. This is great! I would love it if you had an option for different shifts to add, with the pay rate difference to enter as well. I am looking to do something similar but for shiftworkers. I do not need an overtime rate but need to count anti-social hours which is anything worked between 19:00 Friday and 07:00 on Monday (i.e. over the weekend) and then between 19:00 to 07:00 for the rest of the week. I am also having problems with how to get the shift finish time to be the next morning, i.e. for late/night shifts which start one day and finish the next…. Appreciate if you could assist in adding additional 2 more in time and out time formulas. Would you mind to share the formulas please ? Thank you. Can you add it to your timesheet for me to download Please. Great work, I really liked it. Very helpful. Thanks for commenting Garry.. Glad you found it useful! For ex, my start time is 8:30am and end time is 5:00pm with 30min no paid lunch. That would be 8.5hr/day in office so I get paid 8hrs of regular pay working hours. Spreadsheet works great calculating OT if I stayed late as long as I start on 8:30am sharp. I love this format so much … is that possible to do the cost price list using this format ? Do you have a version of this with two types of overtime for example time and half and double time? Hello Angela.. The template can only accommodate one level of overtime pricing. I don’t have one for tiered overtime pricing. Hello Shubham.. The template is made for one employee, however, you can create multiple sheets for different employees. Good Day can you please help me I love your template for the Time sheet, but what must i do if the person does not have a fixed starting time, I see that this is messing with the figures? We run a retail chain and the ovrtimes are difficult to calculate, especially for the weekends when the guys are working one weekend on and one off, to add to this we work the saturday as normal time due to closing off early on Friday, would it be too complicated to modify this for my purpose so its automated? Thanks for letting me know Richard.. I have fixed the template. Hi. Thank you for the great template. Is it possible to have overtime hours calculated including minutes? Currently it seems hours are rounded up/down. I tried to edit the formula but couldn’t get the results I wanted. The OT hours are not rounding up. You can multiple the OT value with 60 to get it in minutes. What about a bi-weekly timesheet? normal hours 07:00 – 24:00 Daily, outside these hours are double time. After 38 normal hours worked in a week the next 2 are 1.5 and anything over is at double time. Hi Sumit, that was a great effort you put. but a quick question why every month end dates (lets say for some months 30 & 31st )appearing in next month’s starting? Thank you so much, finally i found very good template. I’m shuba from Malaysia. i need some changes on the template, can help me on it. This is my workers rate. If the day change to SUN it must automatically change to SUN OT Pay. thanks for sharing! i have a question about the unpaid breaks column which is not taking off the time from the paid amount? Helllo Anees.. It’s working for me. Sometimes Excel shows a warning for files downloaded from the web. If that comes up, you need to click on the yellow button for this to work properly. The monthly timesheet only shows 29 days. The drop down menu shows the correct number of days per month, but to add the data it shows only 29. If you choose a different start date other than the first of the month the 30th shows but the time data shifts. monthly timesheet appears to only allow 29 days. Hello there. Our regular hours is only 8 hours and the shift starts from 8:00 and ends at 5:00 pm. That’s eight (8) hours in total. But, whenever I try to change the start time from 9:00 AM to 8:AM and the regular hours to 8 hours, it can seem to calculate correctly. Say, an employee started working at 8:00 and ended at 19:00. That should be 8 regular hours and 2 overtime hours. But the template’s result shows 7 regular hours and 3 overtime hours. Can you help me with this? You may use the below Formula for 8 hours calculation. this helped me a lot. but I’m having a problem on the highlighting cause my days are on the upper part. could help me with it? thanks by the way..
where to add employee name? How could we calculate in this template. hello , congrats on the project. it is really helpfull , and very nicely done . if i can make a proposition: this is perfect for an individual employee , but what if you have more employees and you want to have everything in one file ? it would have been nice to have one , but i imagine i can do a sheet of the weekly or mothly calculator for each employee and make a summary sheet using indirect formula. Employees don’t usually get paid for lunch.A field for “lunch” or other break would be nice thar would subtract from the total worked for that day. You might need two, One for clock out and one for clock in. Oh wow! This is very helpful. Thank you. Finally – a good template. I would like to see more. Can you pleeeeeeease help me with a excell template for my boss. He owns his own paint shop/Spray Booth. He need a template that he can jot down Paint Formulas on and retain them for future reference on future jobs. Ive asked him to help me create it and hes not interested so Im left with imagining what kind of table template i should make. I can have him fill in the blanks just need a table i guess.